We don't press the customers and do not take their precious time. We are committed and support in achieving the goal. We try to adjust our capabilities to expectations. We are committed to creating a customer relationship with the brand, from simple activities to complex procedures. We combine the methods we used in the promotion of networks, ranging from Web applications through mobile solutions to marketing activities. We understand customer behavior and respond with experience. We help find what you are looking for. We are prepared to support both companies, developing and large corporations. We are sure that all our services, technologies and solutions meet established expectations. … and by the way business works since 2004 as Vision of Shape. … and from 2010 business is under new name Vilsone. We have completed a project for a dispatching company dealing with domestic and international transport. Site made like multimedia presentation includes interesting scenery animations and also with lector background. 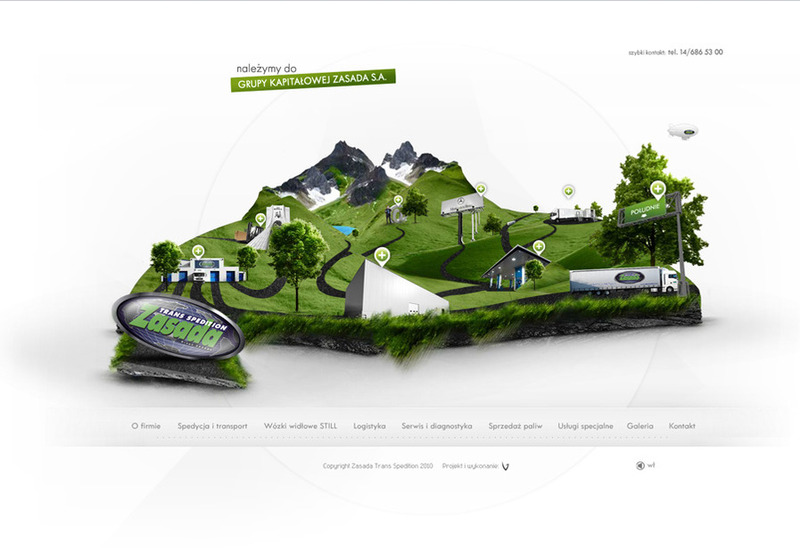 Page content www.zasadatrans.com.pl fully manageable through CMS.